I interviewed for a job recently. I drove 5 hours for an all-morning interview with 4 different people. 3 of those conversations were wonderful. 1 was not, and it left me with this funny story. I was under the impression that I was interviewing for a director-level role, as I made it very clear to them that I wasn’t interested in accepting something below that level. Since they had put me through the interview process and had me travel, I assumed this was understood. When I sat down to interview with one director-level employee, it became clear that no one had told her. When she asked me to explain how I came to be interested in the role, I walked through the entire process, including the fact that I was looking for a director-level role. You should have seen her face. It was like something awful had happened to her. She looked down at my resume, looked up at me, made a face and asked me why I would possibly think that I deserved to be at that level – at her level. So that was fun. She was pretty rude and unprofessional throughout the interview, but I answered her questions calmly and was happy with what I said. Now, reading that quote here, you would be right to question the authenticity of this story. That line is so ridiculous that it makes you wonder whether or not this actually happened. Would anyone ever arrange words in that order to form a sentence? But I assure you, those were her exact words, and she was serious. There are a lot of potential answers to that question. Many of them snarky. 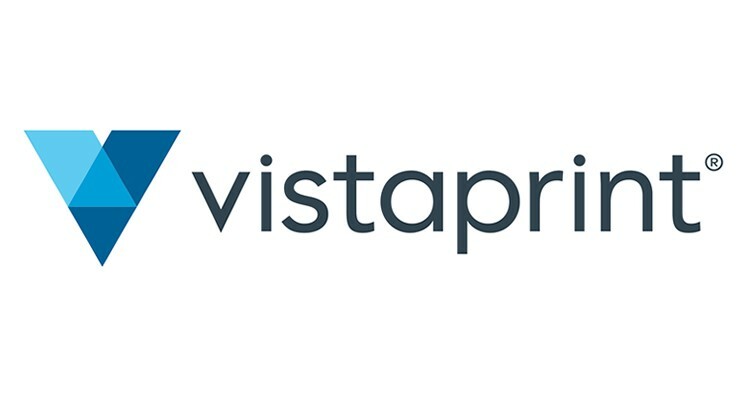 “That company that’s always offering me 50 free business cards?” But, of course, all I said was “yes.” Yes, I had heard of Vistaprint. The conversation with her was so off-putting that I decided, before they even made their decision, that I did not want the role, even if they offered it to me. Why would I want to work with someone like that, if I don’t have to? Managing online communities since 2000, I publish a collective of websites known as the iFroggy Network. I wrote the book Managing Online Forums and, as a public speaker, have presented for organizations like CNN, institutions like Australian National University and conferences like SXSW. More about me. Hahahaha, RobotsPJs. The big three. Something like "Sure I've heard of them. You've heard of Amazon.com right? Here's the link to the BOOK I WROTE ON THIS." ;) You know I'm kidding and I know you wouldn't do that. But man, would it be fun sometimes to just let go! lol. I think you made the right call not going with that company! I think it's very telling about their company culture and the leadership there that they must have valued her tenure at a "big" company (regardless of the company) more than her respectfulness or interpersonal skills. That's not even considering that they brought you in to try to "sell" you on taking a lower position than you very clearly indicated you were looking for... all serious red flags. I think this woman, hilariously rude as she may have been, was the best thing that could have happened to you during your interview. If she had not had the chance to speak to you one on one, you may have loved the process and tried to make it work... only to find out about the toxic culture issues after making a huge life change. She really did you a huge favor! Man that is pure comedy, some people still name drop. The bigger question is if she worked there why did she leave? I wonder. I agree "Why would I want to work with someone like that, if I don’t have to?" Love it! I used to work for the Yellow Page advertisers. Maybe in my next interview I should say "I worked for the Yellow Pages, ever heard of them?" Then the interviewee would say, "No , why are your pages yellow?" I'm with you Patrick on sensing a bad culture/person before you get in the door. Typically most companies hide these employees from you when interviewing! Wow! Thanks for the story. It's funny, but I'm sure some of the humor is lost in the fact that your time was wasted and the company missed a great opportunity to hire you. I read your book, Managing Online Forums. Great book! Thank you so much for picking up the book and for your kind words, Mr. Mckay. You're right. It was a rather deflating and disappointing experience and not the most fun ride home. But the more time passes, the more humor I find in it. Thank you for taking the time to read this post. If you would like to comment, I welcome you to do so. Please keep in mind that the atmosphere here is kind, respectful and work appropriate. If you can't disagree without being polite, this probably isn't the best place to comment. I'm probably more strict as far as advertising goes than other sites you've commented on. If you aren't sure if something is OK, please contact me privately (rather than in the comments) or read the full Comment Guidelines. Participation constitutes acceptance of the guidelines. Managing online communities for 17 years. Author. Speaker. Diddy is my life coach.